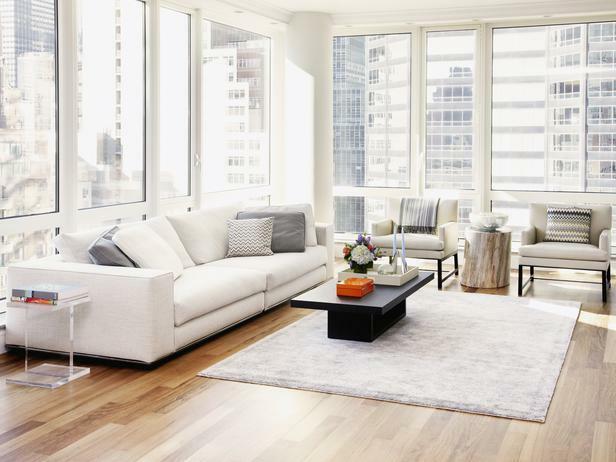 When it comes to interior design there are few colors as timeless, adaptable or popular as white. It is fresh, minimalistic, pure and naturally beautiful, and it can make rooms appear light, airy and larger with minimal effort. When used in collaboration with other colors and shades, white can also be used to create some truly outstanding looks and atmospheres; a blend of neutral tones will give a calming and peaceful aura, whilst juxtaposing white against darker shades will create bold, dramatic interiors. Interior design that incorporates, or heavily relies upon, white can also be really flexible; it can be painted over with ease, or contrasted with different colors to create stunning new looks. In fact, there are very few colors that don’t blend well with white, making it a treasured staple tone in most homes. Decorating with white couldn’t be easier, and there are a number of interior design ideas with white as the key shade. Nautical and coastal themes, contemporary styles, shabby chic and vintage/antique looks that draw on the classical and romantic eras all benefit from the use of white. These themes are relatively easy to achieve with the right accessories, furnishings and contrasting colors; inspiration for these fantastic themes can be found almost anywhere. 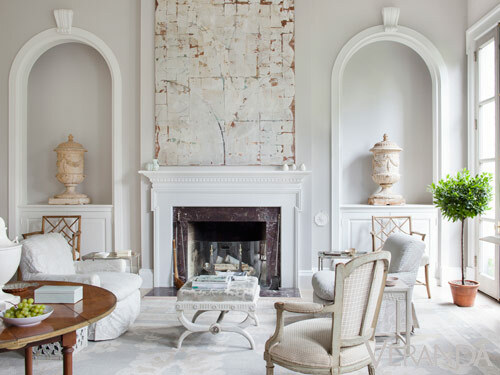 White is also great for those who don’t want to be overwhelmed by big blocks of color; utilizing white allows designers to subtly inject color into a room by way of bold accessories and furnishings. A room that is decorated neutrally is often easier to change, too – personality can be added or taken away, and the whole feel of a space can be altered with very little effort. There are a number of ways in which white can be used around the home. In the kitchen, for example, white can be used to lighten and brighten surfaces and preparation areas, helping to keep the space cool and contemporary. Using white with contrasting colored tiles and accessories will give any kitchen a fresh and clean feel and will help to create some truly dramatic looks. Meanwhile, white is always a popular choice in bathrooms, reinforcing the idea of cleanliness and neatness. Again, colored tiles and accessories will really bring a bathroom out of its shell. White isn’t simply confined to the more functional rooms in the house; it can also be used to make a living room, dining room, or bedroom feel much bigger than it is, truly making the most of the space on offer. Bedrooms can be transformed into ethereal, peaceful spaces with the careful use of white and a selection of accessories, such as white wooden shutters; homeowners can draw inspiration from the clouds to create a haven in which they can drift away, shutting out everything else. Living rooms can also benefit from a lick of white paint, which will allow accessories and furnishings to speak for themselves and ensure that a homeowner’s personality shines through. Painting with a color as crisp and unforgiving as white can be daunting; there is always a risk that it will appear overbearing, or too clinical. However, when the decorating is carefully planned, with the right accompanying colors, textures and accessories, using white can ensure that interiors stay elegant and stylish for years to come.